To apply online for a position, please create an account (registration is free). 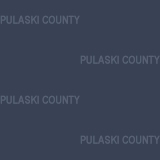 If you have already created your Pulaski County Employment Portal account, please login below. Your confirmation code was invalid. Please call (501) 340-6110 to retrieve a valid code and enter it under the 'My Account' tab. You will not be able to view internal positions until this step is completed.